The best landraces in the world brought together in one explosive sativa, a big yielding haze made to make the connoisseur's mouth water. 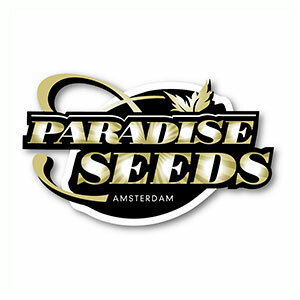 Superior Legend… Expect nice big buds with Atomical Haze, because this sativa dominant strain combines the best landraces from around the world together in one explosive plant. 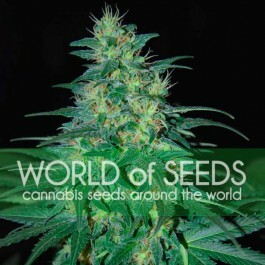 This is one of our new generation strains and is our twist on the classic choice of the connoisseur. Atomical Haze combines original Haze (sativa genetics from Colombia, Mexico and Thailand) with an Indian classic sativa and a sweet Afghan indica. This hybrid mix has created something quite special – a big yielding sativa dominant plant that is built to perform. As a connoisseur’s choice this plant needs more care and attention than some other varieties. It takes a little longer to grow too, but it is well worth the wait. The result is a bigger plant that is well proportioned and packs big nugget buds that bring a sativa kick to savor. Indoor growers should be aware that with 1 or 2 of these luxury items in your grow tent, and some subtle training, you can achieve the same yield as 4 or 5 indica varieties. This plant wants to grow, like all Hazes, but it is less urgent than most. Best grown from seed to flower indoors, the big buds are a dream to trim and can be plucked off the plant like ripe fruits when harvest time comes. Outdoors, this plant will soar, growing big and strong in sunshine. A relatively late harvest time (end of October) in the light cycle of the northern hemisphere, the sativa element will nevertheless give some protection from mold. However, it is gardeners in southern regions that will most benefit from the growth potential of Atomical Haze as this plant loves the sunshine.